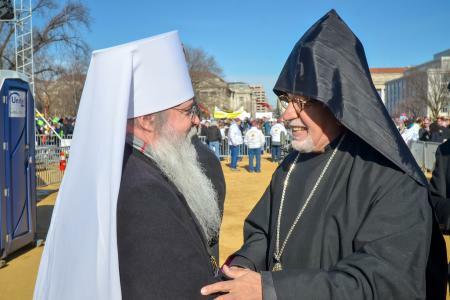 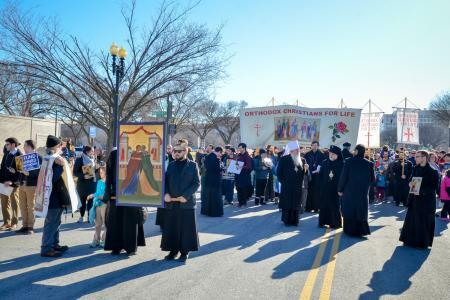 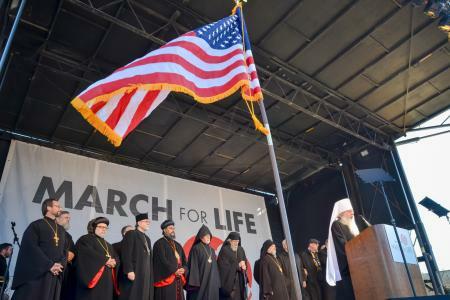 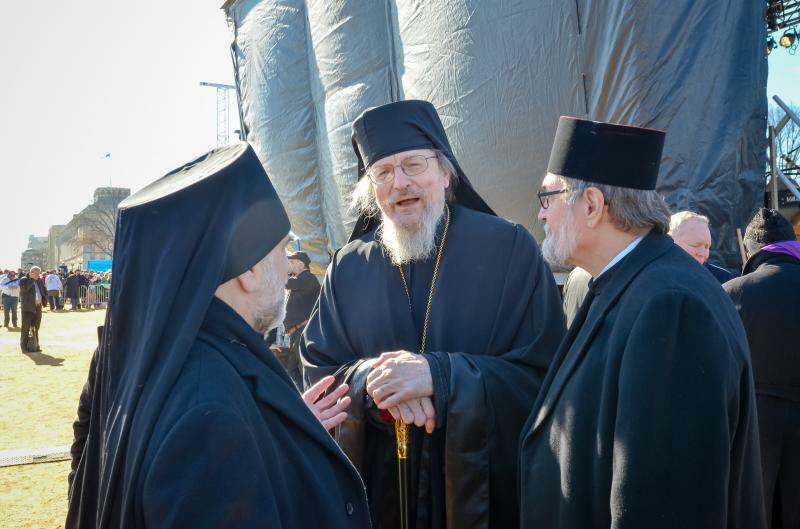 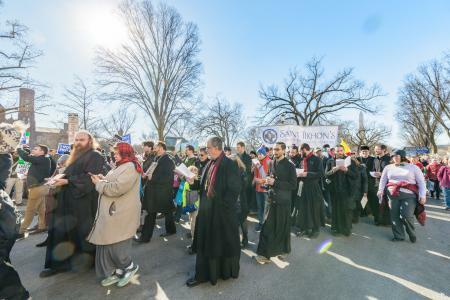 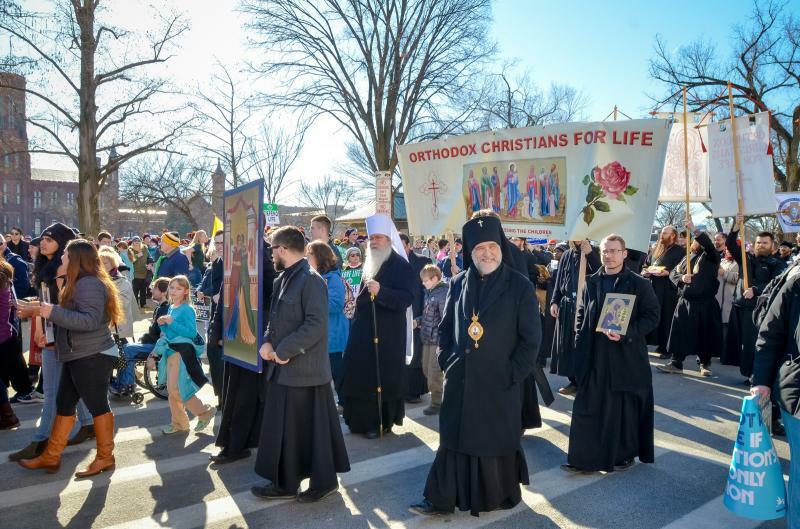 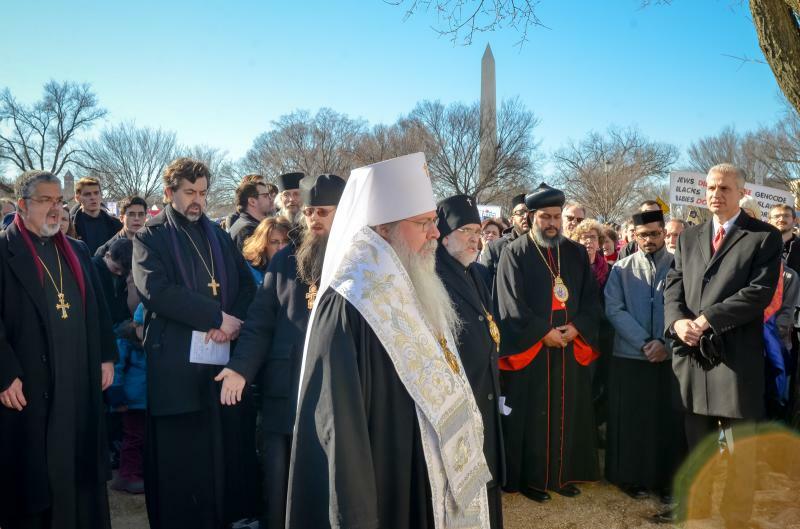 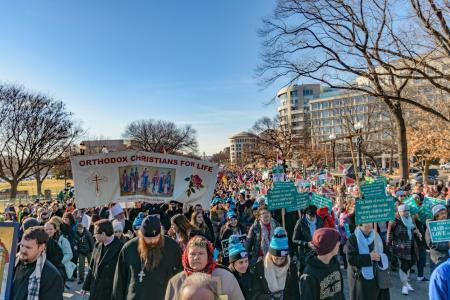 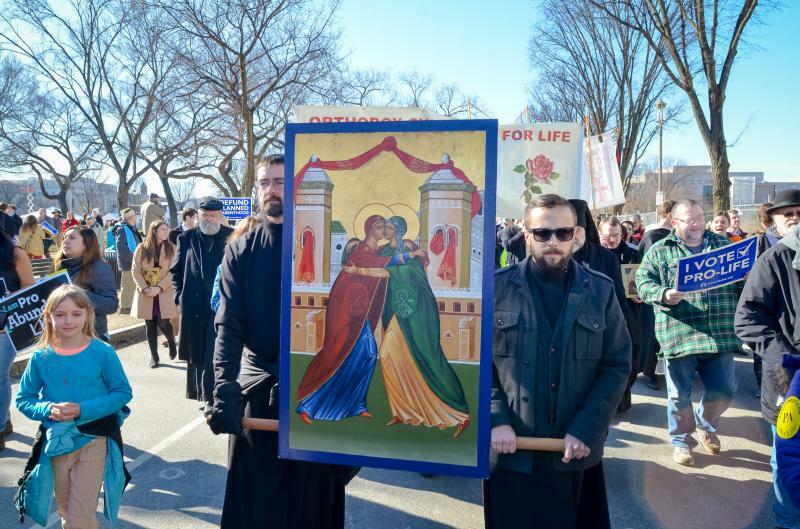 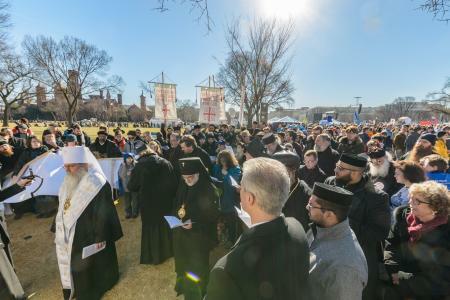 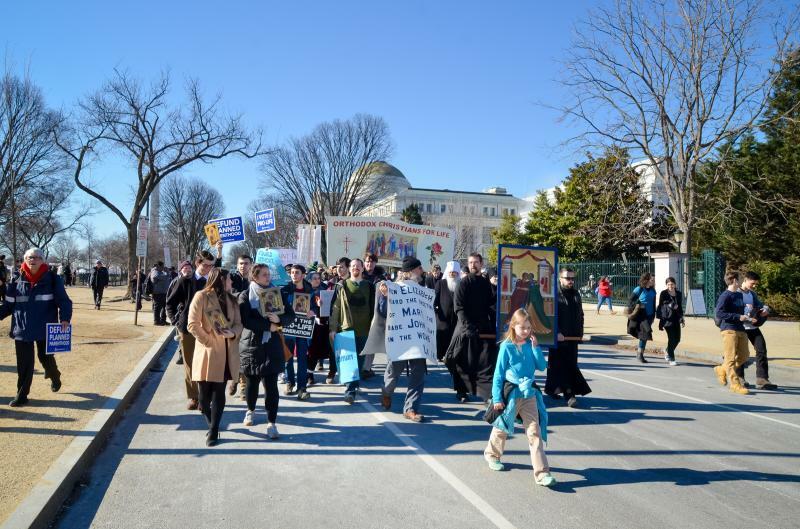 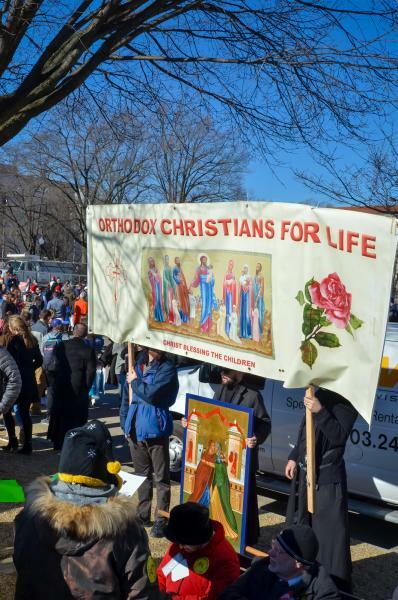 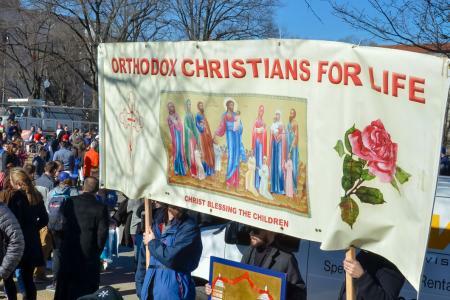 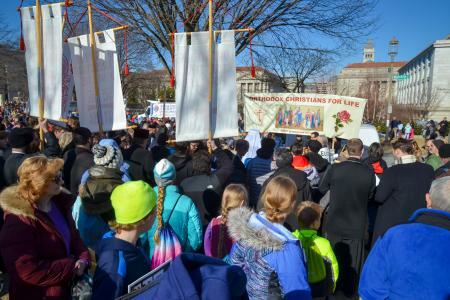 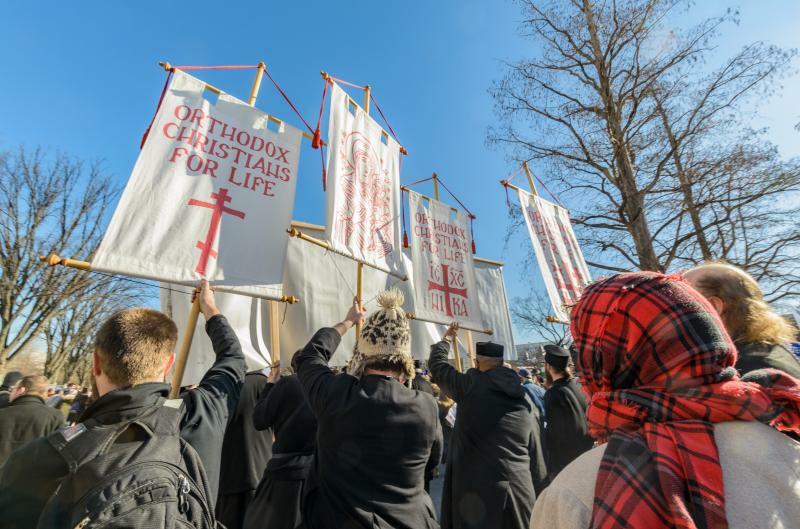 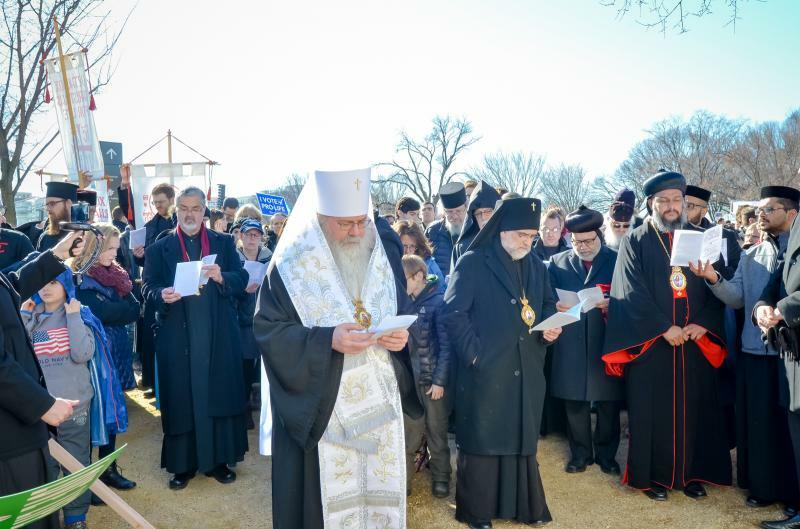 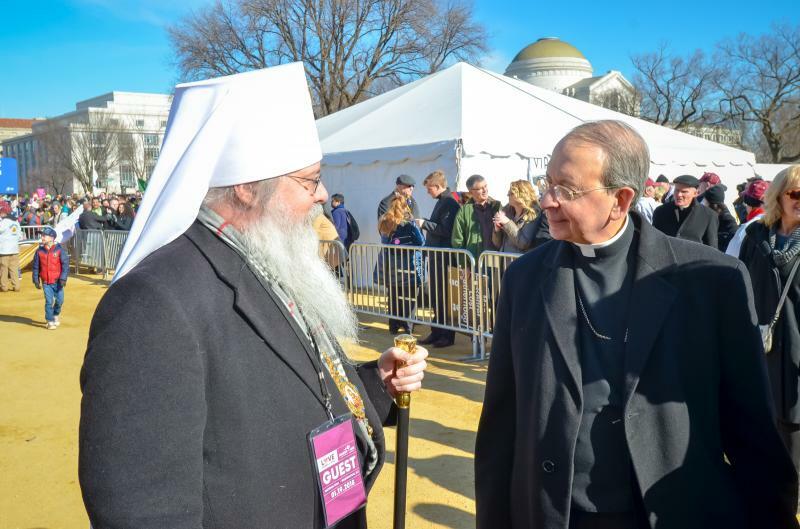 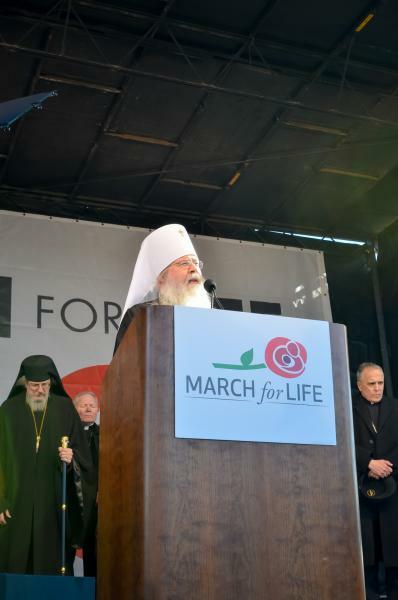 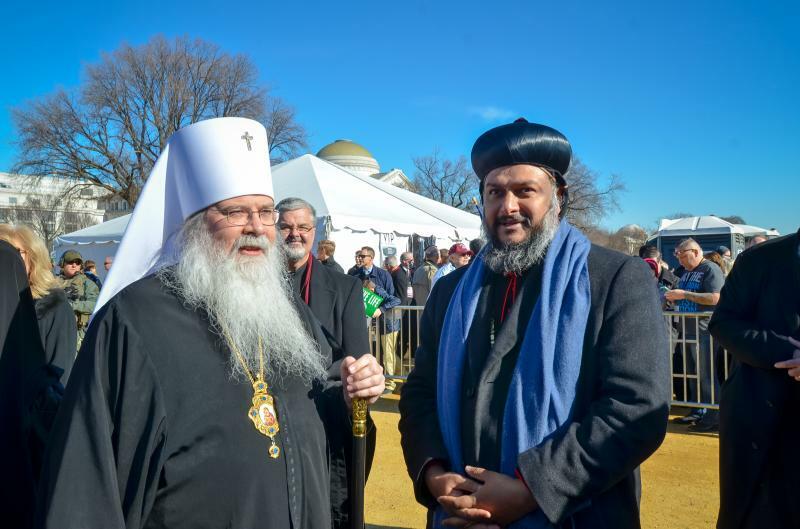 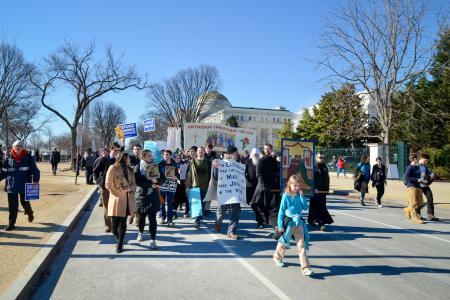 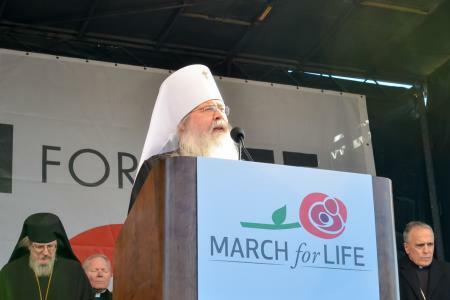 His Beatitude, Metropolitan Tikhon, offered the opening prayer at the 45th annual March for Life in the nation’s capital on Friday, January 19, 2018. 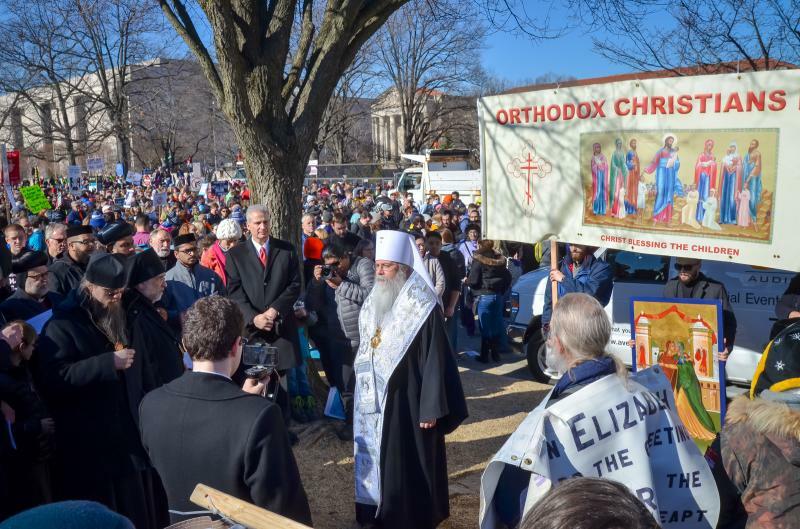 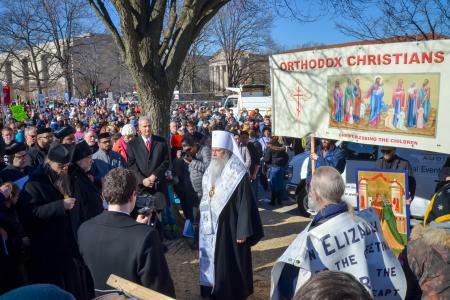 Metropolitan Tikhon, led the Orthodox Christian hierarchs, clergy, seminarians and faithful at the March. 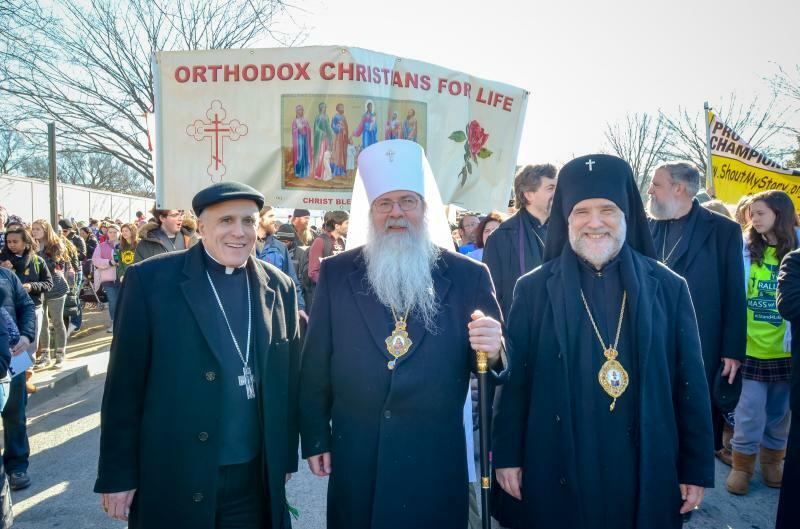 Other participating hierarchs included His Eminence, Archbishop Melchisedek of Pittsburgh and His Eminence, Archbishop Michael of New York. In addition to representing the Holy Synod of Bishops of the Orthodox Church in America, Metropolitan Tikhon represented the Assembly of Canonical Orthodox Bishops of the United States of America at the request of His Eminence, Archbishop Demetrios of the Greek Orthodox Archdiocese of America, who chairs the Assembly. 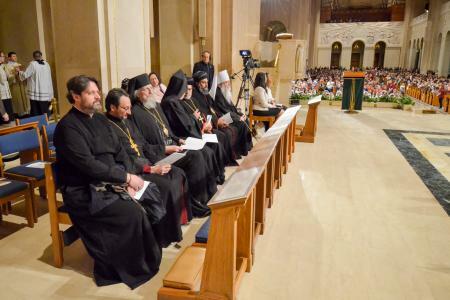 Also present were numerous hierarchs and representatives of the Oriental Churches and other traditions. 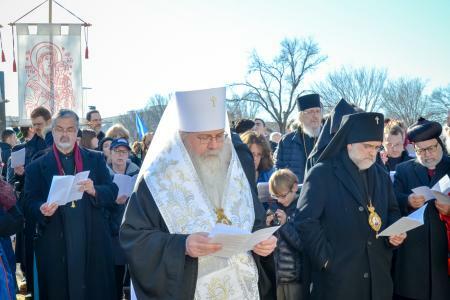 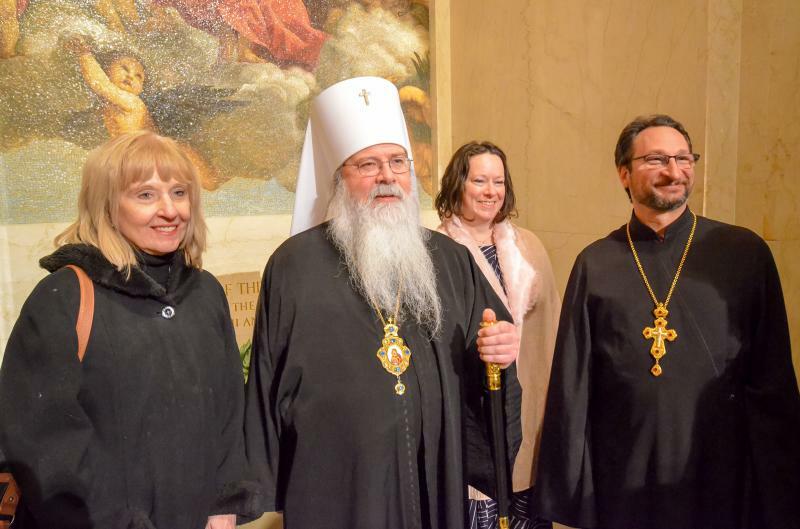 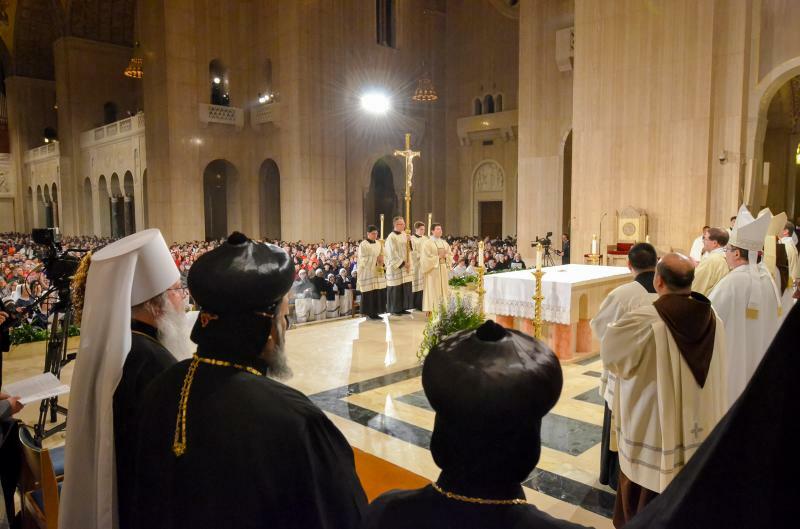 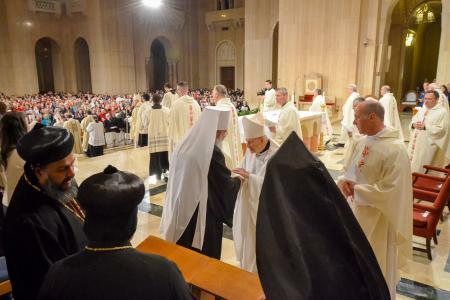 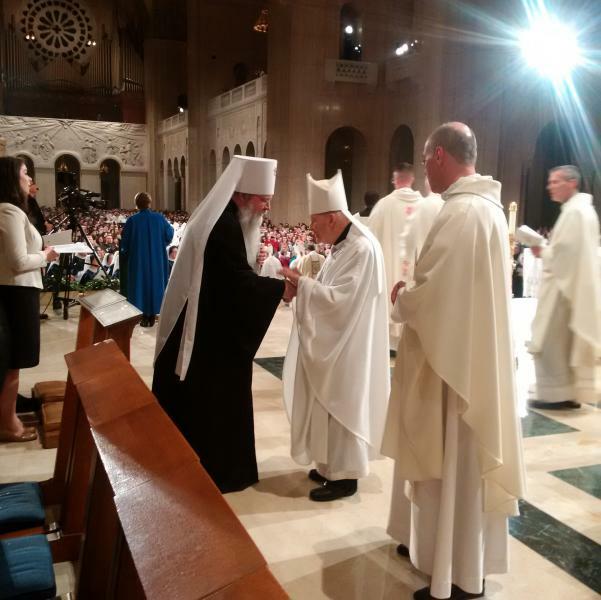 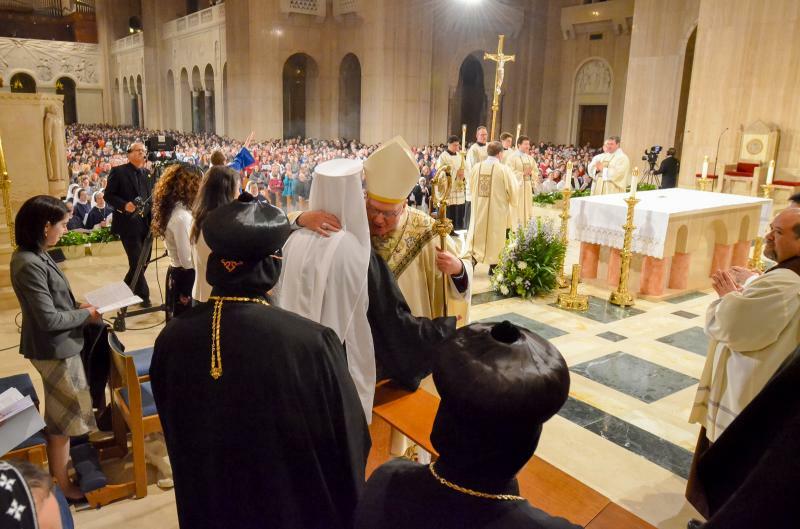 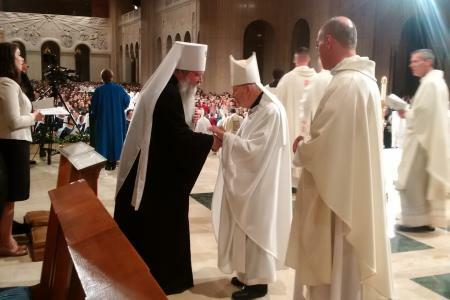 On the eve of the March, Metropolitan Tikhon was among those who attended a Prayer Vigil at the Basilica of the National Shrine of the Immaculate Conception, Washington DC. The text of Metropolitan Tikhon’s opening prayer is available online, as is a related video. 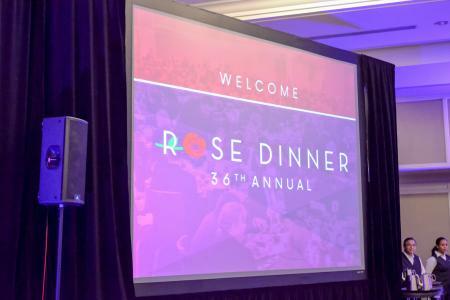 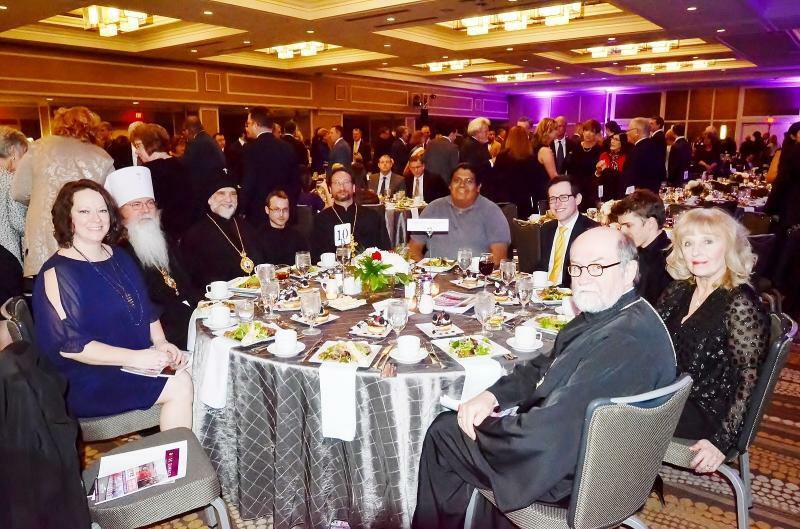 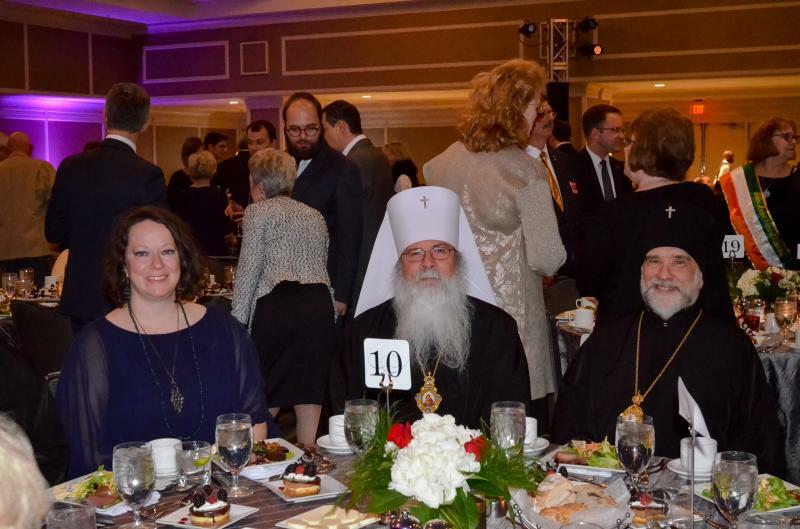 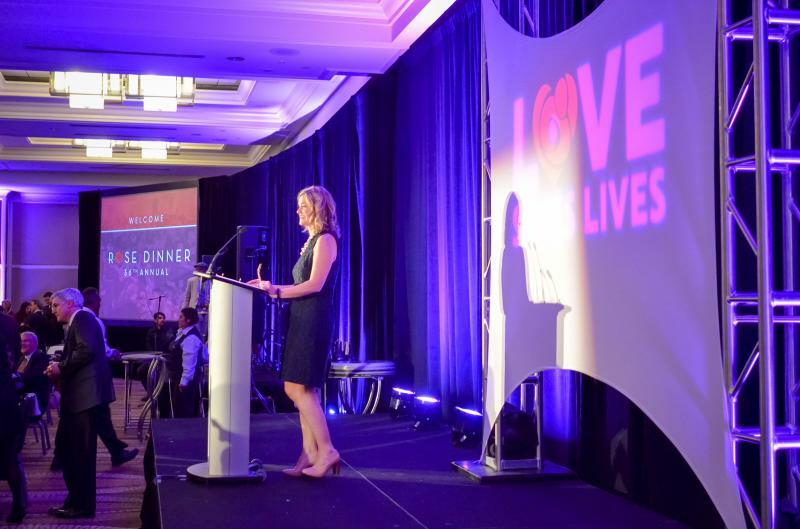 Metropolitan Tikhon and representatives of the Orthodox Church in America also attended the annual Rose Dinner, at which Pam Tebow delivered the keynote address.